As the second quarter of 2017 came to a close, slightly weaker economic data pushed Mortgage Bond prices to seven-month highs, while home loan rates hovered just above all-time lows. Mixed job data, lackluster consumer spending and tame inflation inspired investors to move dollars into the less risky Bond market, which benefited the home loan rates tied to Mortgage Backed Securities. 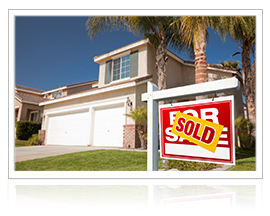 May New Home Sales surged. The Commerce Department reported that New Home Sales in May jumped nearly 3 percent from April to an annual rate of 610,000, above the 599,000 expected and marking the second highest tally of 2017. From May 2016 to May 2017, sales were up almost 9 percent. May Existing Home Sales also edged higher 1.1 percent from April to an annual rate of 5.62 million units, above the 5.52 million expected. Sales were up 2.7 percent from May 2016. Tight inventories for both existing and new homes continue to push home prices up. While new construction could help offset the inventory shortage, Housing Starts fell for the third straight month, dropping 5.5 percent in May from April to the lowest rate since September 2016. Single-family starts fell to the lowest level in eight months. Housing Starts were down 2.4 percent from May 2016. Building Permits, a sign of future construction, also fell 5 percent from April to May. Mixed job data, lackluster consumer spending and tame inflation benefited Mortgage Bond prices and home loan rates. Retail Sales in May saw the biggest decline since January 2016, falling 0.3 percent from April, per the Commerce Department. Retail Sales were up nearly 4 percent from a year ago. Retail Sales are an important indicator of our nation’s economy because consumer spending makes up nearly two-thirds of economic activity. Employers added 222,000 new jobs in June, for an average monthly gain of 180,000 jobs in 2017. On average 187,000 new jobs were created per month in 2016. Average hourly earnings were stagnant at just a 2.5 percent gain over June of last year. Consumer inflation remained tame in May. Year over year, the Consumer Price Index (CPI) fell to 1.9 percent after hitting 2.7 percent four months prior. Wholesale inflation as measured by the Producer Price Index (PPI) was unchanged in May due to lower energy costs. If you have any questions about current rates, which remain near historic lows, please don’t hesitate to ask. Stay tuned for your next quarterly update in October. 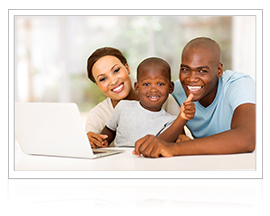 Part of being a successful real estate agent is knowing how to appeal to buyers and sellers of all ages. Snapchat users skew younger, so this social media platform presents a unique opening to capture millennial users just entering the real estate market. Here are some basics to consider. Snapchat is a messaging app that allows users to send photos and videos overlaid with text or drawings to followers. Users set a time limit to “snaps” that expire once viewed. Because “snaps” disappear after they’re viewed, followers can’t simply scroll back to look at old posts. This seems like a downside, but real estate power-users suggest this creates a level of engagement not found on other social platforms. That’s because followers can view your posts on demand and without any other distracting content sharing the screen. Crafting a highly targeted core message around a specific niche and being authentic and relatable to younger audiences is key. Popular snaps include behind-the-scenes moments of your day, quick real estate tips, home tours, or even fun or silly moments. Check out NAR’s Field Guide to Snapchat for REALTORS® for more great tips. Because of its visual appeal and high level of user engagement, Snapchat presents a ground floor marketing opportunity for agents. Testimonials are one of the most powerful ways to demonstrate to prospects you’re a trustworthy expert, because they come from clients who have already done business with you. The best part is they can be reused over and over in lots of ways.On your website. Create a specific page just for testimonials but make sure to use them in other places too, like on your home page or in sidebars on every page.In your email signature. A short testimonial just below your contact information can make a powerful statement. Rotate them every week or two.In social media. 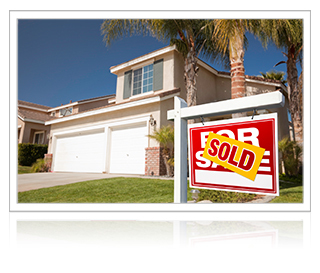 Use a free photo editor like Canva to overlay text on a picture of a recent closing. Ask permission, of course, and don’t forget to tag the client! On an infographic. Present your sales data or market data in a highly visual format for sharing on social media and add a testimonial at the bottom for marketing magic. In advertising. Don’t give all the “real estate” in your ads to property listings. People want to know about you too. With video. Use your smartphone to easily capture a short testimonial or interview with clients after closings. These can easily be added to your social media sites. In printed material. If you snail mail a newsletter, always include testimonials. Leave room on flyers and brochures for people who sing your praises too! Not every home you show comes with photo-worthy landscape or outdoor design. These trends can help home sellers spice up their space for showings and homebuyers in need of decor inspiration for their new yard. 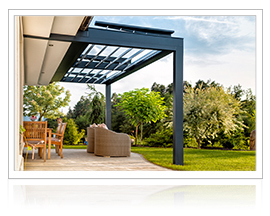 Patio covers, like pergolas, sun sails, umbrellas and gazebos, create a visually distinct space. Features like heaters, fans and misters give these spaces longer seasonal use. Creative lighting isn’t just for landscaping. Hardscaped areas like patios and decks can be lit for ambience. LED or solar-powered lights look inviting and help keep electrical costs down. Low-maintenance plantings like edible gardens, urban container gardens and drought-tolerant foliage require less work but still look lovely. Outdoor pizza kitchens featuring wood-fired or hearth-style ovens will fire up imagination and make a brilliant addition to grilling without heating up indoors. Water features like fountains, waterfalls, bubblers or ponds can add ambience and remain a perpetual outdoor favorite. Keep these design tips at the ready and help your clients catch the vision!